Councillor Heather Humphrys is one of four Fine Gael candidates in the five-seat Cavan-Monaghan constituency. She has worked as manager of Cootehill Credit Union for the last 12 years. Humphreys was first co-opted on to Monaghan County Council in 2003 and was twice re-elected in 2004 and 2009. In 2009, Humphreys was elected as Mayor of Monaghan County Council. 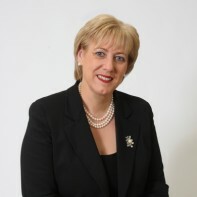 Humphreys is one of only two women to hold the office of Mayor of County Monaghan.